Angaza offers a complete Pay-As-You-Go (PAYG) solution to manufacturers and distributors of clean energy products, like solar lights or cell phone chargers, in the off-grid world. PAYG technology allows consumers to purchase PAYG-ready products over time, in affordable increments, just like they purchase cellular airtime or kerosene fuel. With Angaza PAYG, distributors can achieve a >4x sales increase by offering end-user financing that puts the product within financial reach of a much larger market segment. 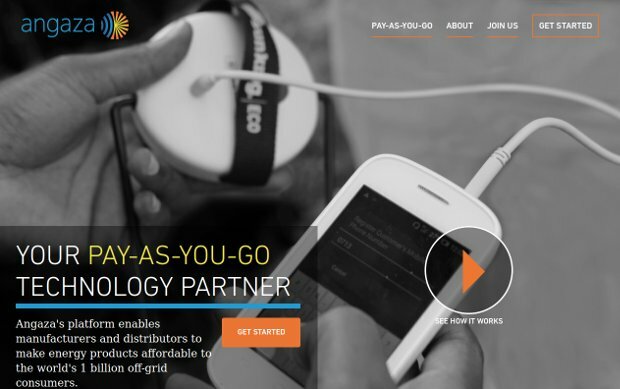 The PAYG platform is comprised of the Energy Hub, a cloud-based software system, embedded data transfer hardware and firmware in the product itself, and the Activator, Angaza’s mobile application. The Angaza Energy Hub is the base of all PAYG distribution operations, allowing you to manage your PAYG business with ease. The Hub has a robust suite of tools to enable you to increase product sales, lower distribution costs, and build a more satisfied customer base. Lesley Marincola is the Founder and CEO of Angaza Design. A product designer (B.S.) and mechanical engineer (M.S.) from Stanford University. Her vision is to solve the world’s most widespread problems – like energy access – with market-driven technology innovation developed from a human-centered design approach.